Dory days is a long standing tradition in the summer in Pacific City. 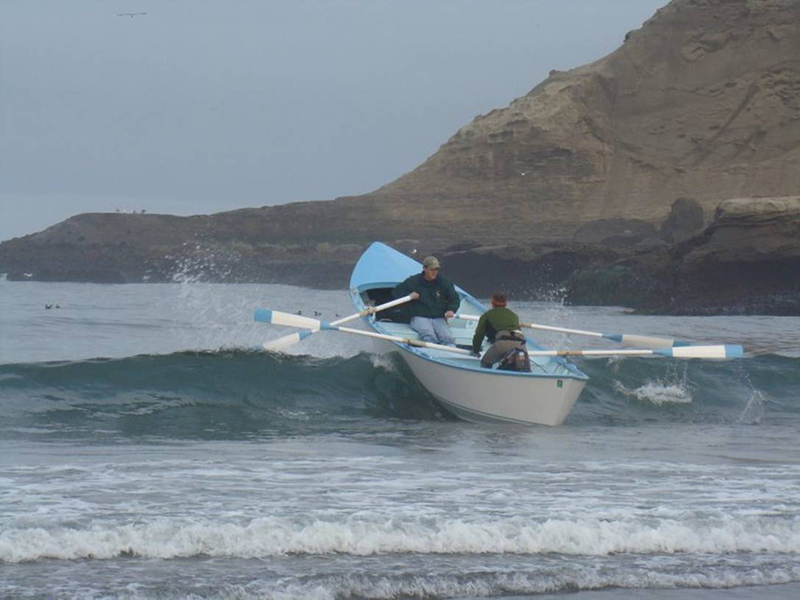 This weekend is a celebration of hardworking fisherman that handled the dory boats of the coast going offshore in simple wooden dory’s and catching fish from the city and returning to the beach. Check out the schedule of events below. If you have never seen a dory launch into the ocean from the sandy beach head on out to Pacific City this weekend and watch them live in person. These boats are fun to watch launch and come back ashore. 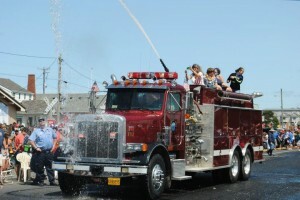 Seaside Oregon 4th of July activities will begin at 11AM with an Independence Day parade that includes the Crusaders Drum & Bugle Corp at the Seaside Museum & Historical Society and continue through and around downtown Seaside. From noon to 4PM there is a whole lot of activities to keep the kids busy, seaside really has a ton of different things lined up for everyone to enjoy. Activities include: a cake walk, face painting, live music, variety of small games, food boths, raffle drawings, silent auction, and bingo. Take a few minutes in between the activities and check out the museum for free as well. The fireworks show at seaside gets started at 10PM and is centered around the beach at the turnaround. The Seaside Chamber of Commerce puts on an excellent fireworks display and the expansive beach area makes a perfect place to set up a few blankets and enjoy the show from the sand or from the view of your hotel window if you are staying right on the beach. Remember to be careful and smart about being on the beach this weekend. If you make a beach fire keep it modest, make sure to put it out properly and be careful with the fireworks that you are lighting off. Important information from the Seaside Chamber of Commerce that is good information for any fourth of July beach goer. NO FIREWORKS ZONE….. The fenced off sections to the north and south of the turnaround are “fireworks free zones”. This area is for those who wish to view the fireworks show in a “safe zone”. NO FIREWORKS PLEASE! BONFIRES: Bonfires are allowed on the beach away from beach grass and large drift logs. Bonfires must not exceed 3 foot square in size. ILLEGAL FIREWORKS: ILLEGAL FIREWORKS PROHIBITED– violators will be ticketed! THE POSSESSION AND/OR USE OF ILLEGAL FIREWORKS (MORTARS, FIRECRACKERS, MISSILES, ROMAN CANDLES, ETC.) IS PROHIBITED IN THE CITY OF SEASIDE – ILLEGAL FIREWORKS ARE SUBJECT TO CONFISCATION – THIS IS A CRIMINAL OFFENSE AND VIOLATORS ARE SUBJECT TO ARREST WITH A FINE OF $500.00 PER VIOLATION (ORS 480.110 to 480.165). TREASURE THE BEACH: The BEACH DRIVE BUCCANEERS will be handing out SOLV trash bags during the parade & on the beach before the fireworks display. TAKE YOUR TRASH OFF THE BEACH WHEN YOU LEAVE! Bags may be left next to trash cans along the Prom…………. 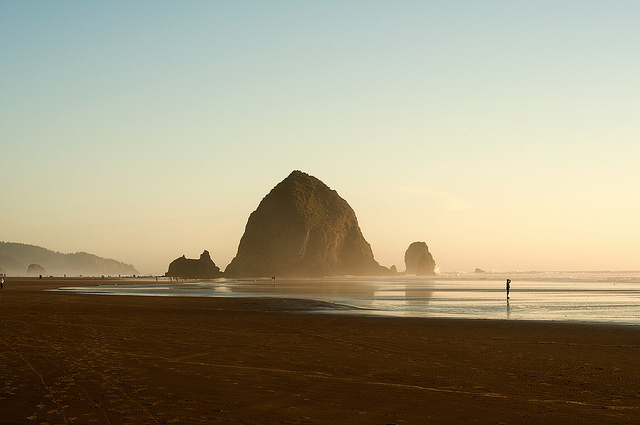 Cannon Beach is a fireworks free beach due to the populations of nesting birds that reside on Haystack Rock. This makes Cannon Beach the perfect place for people that like to avoid the loud fireworks and large crowds found at other places with big firework displays. 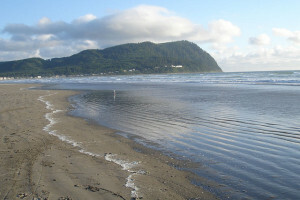 There is still a ton of things to do and enjoy in Cannon Beach besides making something go boom. There is an excellent small town parade that has all of the best you would expect from floats, decorated vehicles, marching bands, and cool old cars. The parade will start at 11AM at Spruce and Monroe and then goes along Spruce to 3rd Street then continuing south on Hemlock. There will be a concert at 3PM at the Cannon Beach City park, playing a variety of music including selections form the musical “The Wizard of Oz”. There will be a show in the evening that starts at 7:30PM with the Dancers Flambouyant a group from Portland. Remember no fireworks in Cannon Beach, but you also get the chance to enjoy amazing views of puffins, pelicans, cormorants, black oyster catchers, and even bald eagles flying up above. There will be a low tide first thing in the morning on the 4th and 5th of July so take a nice early morning beach walk and enjoy the shallow tide pool ecosystem. There is always something interesting to see. Low tide beach walks are always the best, lots of nice hard sand and access to the tide pools to poke around in. The 4th of July is a fun time to be down at the coast and Rockaway Beach is home to a fantastic line up of activities to keep the whole family busy. Normally a quiet beach town, this place is already starting to get a little busy for the holiday celebration that is coming. The fireworks show will get started at 10PM from the Wayside area, run by the local volunteer fire fighters the community hosts a huge fireworks show. The long beaches north and south of the town are perfect for setting up a beach fire and hanging out for the evening. A Bake Sale at the Lions Club Building starting at 9AM, there is always a good cookie, piece of pie or something else at these sales so check it out if you are walking around in the morning before the parade. The Parade goes through downtown Rockaway starting at 11AM, the main road through town will be closed down and people do start finding their place to sit and watch the show about an hour before so plan ahead to get a good place to watch. 7th Annual Firecracker Weiner Nationals One of the best activities in town gets started at 12:00PM at the Phyllis Baker City Park. These four legged hot dogs run fast, some crash hard, and one gets to proudly be named the champion of the dachshund races. Be careful on the beach with fireworks as there are tons of other people out there. Make sure if you start a beach fire to properly put it out at the end of the evening, there is nothing worse then getting burned on the feet the day after fourth of july when going for a beach walk cause someone did not extinguish the coals.